Change of ownership or Import? Relax, we will sort out the administration and MOT-inspection. When moving to Spain, your car must also be registered and inspected here. Under EU rules, the car should always be registered of the country in which the owner lives. This is an EU Regulation which stands above national laws. 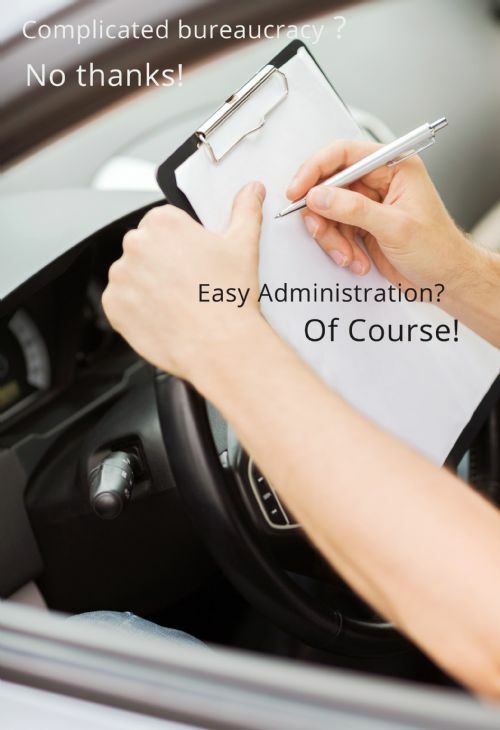 It can be a bit tricky with all the administration at first, but we will be happy to help with the bureaucracy surrounding the registration and inspection of your vehicle. As in most countries, it is mandatory for car owners in Spain to have their vehicles inspected at one of ITVs, (Inspeción Técnica de Vehículos) 300 MOT-stations in the country. The only exception is Spanish registered cars that are less than four years. Vehicles that are between four and ten years are to be inspected every two years and those older than that, the law states that once a year is required. If you want to bring your car with you (Import) when moving to Spain, it must be registered. It is Trafico (Highways Agency) that manages this process here in Spain. It could easily be a little overwhelming when your are not familiar with the routine and probably have a lot of other things on your mind. Let us handle it for you. We manage all contacts necessary with Trafico in the Malaga province and takes care of all the paperwork and bureaucracy on your behalf. After 21 years in the car rental business in Spain, we know the routines. We will be only too happy to help you cut the red tape surrounding MOT-Inspections and registration when importing or buying a car.